Today I'm celebrating angels, blessings, and new life as it begins on Christmas day. I chose this wonderful image from Ching-Chou Kuik with an angel guarding and nurturing a new polar bear cub. 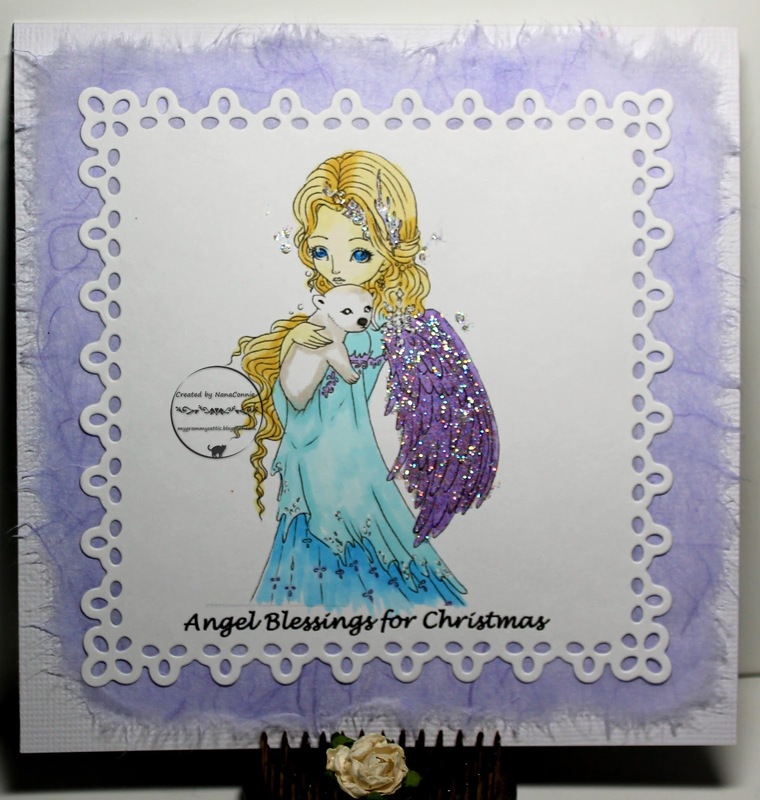 I colored with my ProMarkers, adding glitter to her wings, the snowflakes & the icicles in her hair. I used a die from QuicKutz to cut the image, then backed that with mulberry paper which I 'feathered' along the edges. I added that piece to the card front, then left it CAS at that point. I wanted the image and the sparkle to be the focus. Beautiful Holiday card, bravo Nana. Lovely colors. So beautiful! Gorgeous image and sparkle! Mulberry paper always adds such a nice soft touch! I usually forget that I even have mulberry paper! The angel is beautiful, love her glittery wings! 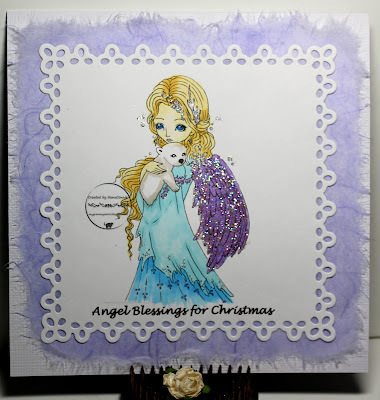 Such a sweet card - lovely design :-) Thank you for playing along at IKEsWORLD Challenges. Such a pretty project. I love the feathered matting paper and your colouring is lovely. Fabulous card! Gorgeous image and love the wings!